Abrar Interior provides all kind of interior decoration services. 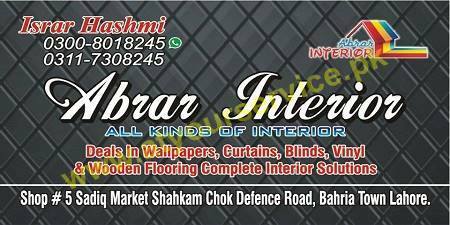 Abrar Interior is located in Sadiq Market, Defence Road, Bahria Town, Lahore. It provides all kind of interior decoration services.